We’re having a spiced pumpkin tiramisu-like cake for Thanksgiving dessert. 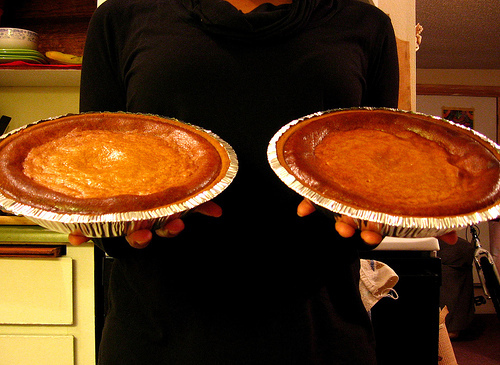 But I do love sweet potato pie, especially the praline-topped ones my former colleague John-John used to make. It’s also our President-Elect’s favorite kind of pie. See this video on the best sweet potato pie around D.C.
Another former colleague, Rona Marech, wrote a deliciously descriptive features story about that Henry’s Soul Food place near D.C. They can’t wait for Obama to come try some.